Our VPFs are typically used for the bulk freezing of ground products (MSM, Fish, Pet food etc.) 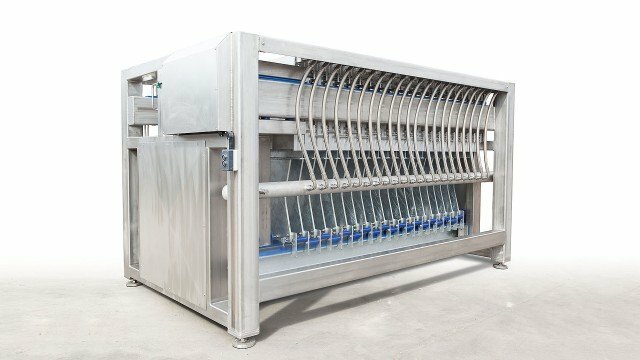 and is a fast & easy way to form frozen food blocks with minimal handling. The product can be poured or pumped directly into the freezer. Fast and convenient loading & unloading make the VPF a popular choice for high production environments. Our HPFs are normally used for the bulk freezing of higher value products (Fish fillets, Shrimp, Roe etc.) and represent a more space efficient method of freezing than VPF’s so are extremely popular on board fishing boats or in smaller space-constrained land applications. 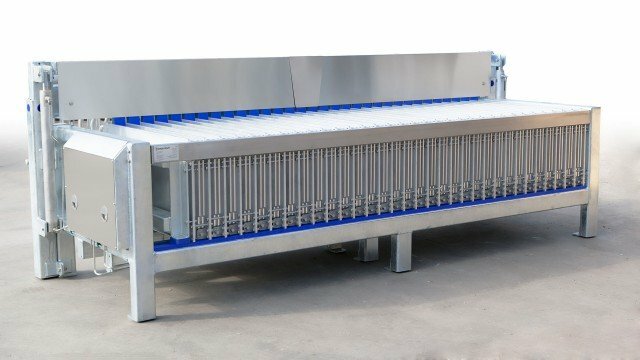 A Stainless Steel framework as a standard makes the HPF perfect for high hygiene applications. 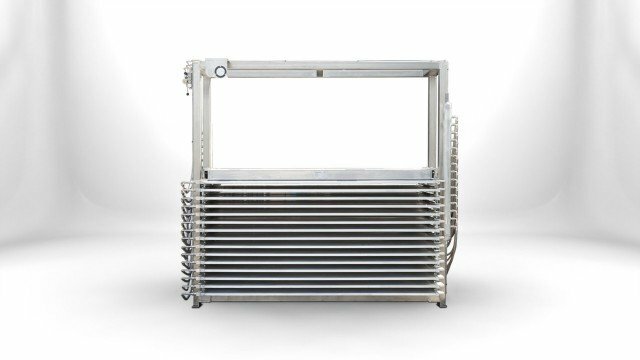 VFT’s are a modified style of Vertical plate freezer with a “flat top” which offers greater hygiene, stronger design and importantly is ready for complete automatic unloading by way of a special crane system that does not require human intervention. They can be loaded and unloaded by hand still, making them ideal for companies which want to invest in automation at a later date.